Is this a horrible summer or what for losing celebrities? In the category of another legend has left us, Walter Cronkite has passed away after a remarkable broadcasting career. CBS anchorman was welcomed into millions of American homes throughout the years. It’s no surprise when a journalist icon passes, we all feel like we’ve lost someone we knew. 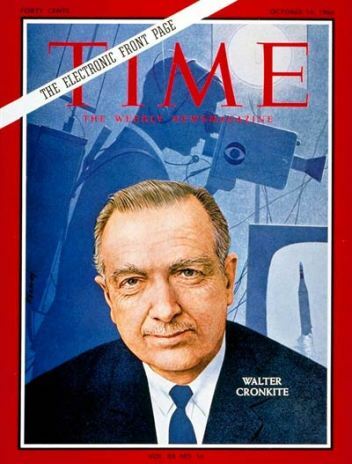 In fact, Cronkite was thought of as the most trusted man in America for decades. then continued his career at CBS. In 1950 he began working in their news division. 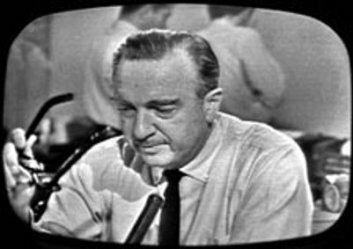 Keep in mind the context of the times – or the zeitgeist if you will – television was new and as such, Walter Cronkite was technically a news pioneer in the “new” medium. calling the Vietnam War “mired in stalemate” as well as putting his stamp on the successful anchorman role. Walter Cronkite was not afraid to share his views such as opposing the war in Iraq and current broadcasters not giving the public all of the facts and background in an objective manner. There is no doubt: there was only one Walter Cronkite. R.I.P.